It’s hard to find a vehicle as versatile as the 2019 Nissan Rogue. 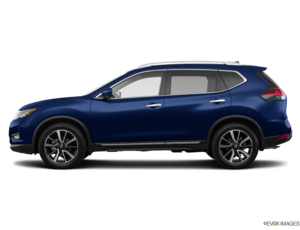 Spacious, safe and fuel-efficient, the 2019 Nissan Rogue has a lot of qualities to offer consumers. After all, it's no coincidence that the Nissan Rogue is one of the most popular models in its class year after year in Canada. 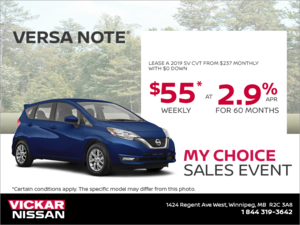 Offered at just $ 26,798 at Vickar Nissan, the 2019 Rogue also boasts an impressive 9.1 L/100 km city fuel economy rating, and 7.1 L/100 km on the highway. If the 2019 Nissan Rogue is so frugal, it is thanks to its 2.5-liter four-cylinder engine, but also thanks to its excellent continuously variable automatic transmission, a technology known to get the best possible fuel consumption without compromising performance. At 170 horsepower and 175 pound-feet of torque, the 2019 Nissan Rogue also gives you plenty of power under the hood when you want to pass or have a little fun. 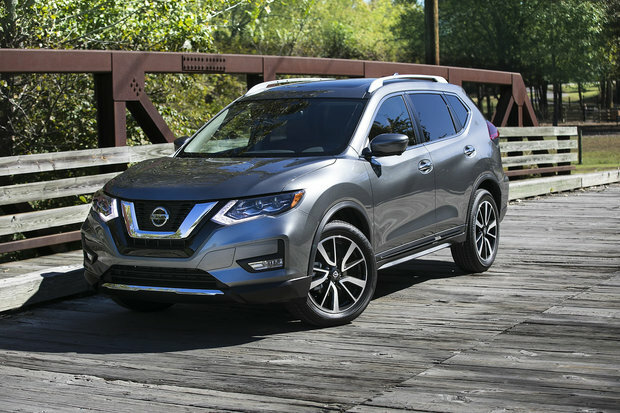 The 2019 Nissan Rogue also stands out with its impressive features that put the emphasis on technology, including a 7-inch touch screen compatible with Apple CarPlay and Android Auto. The 2019 Nissan Rogue puts technology at the service of safety as well with driver assistance systems such as intelligent emergency braking, blind spot warning and cross-traffic alert. These technologies are usually optional, but Nissan prefers to have them featured as standard equipment in the Rogue. That said, for even more safety, the 2019 Rogue has the ProPilot Assist System to offer consumers. With ProPILOT, the 2019 Nissan Rogue offers adaptive cruise control that adjusts to the surrounding traffic as well as a lane keeping system that allows the Nissan Rogue to detect the lines of the roadway and maintain the course even if you happen to be distracted. Nissan has a lot to offer with the new 2019 Rogue. To learn more, come check it out today at Vickar Nissan!